Yesterday it was announced that Monde Zondeki has retired from all forms of cricket, coming not the long after the announcement that Gary Kirsten will step down as the coach of the Proteas. These two men could not have had more different careers with Gary Kirsten played 101 test matches while Zondeki played 6. Gary was a first choice selection for any squad, while Monde battled injury and selection to get very few chances for his country. But as both these men step away from the game in some way right now, my mind goes back to the moment that these two made South African history and broke English hearts. The South African tour to England in 2003 will be remembered for the back-to-back double tons by Graeme Smith, the heartbreak at losing the final test and the 10 wicket haul by Makhaya Ntini at Lords, the home of cricket. But the memory that stands out for me from that tour goes to the 4th test in Headingly. South Africa lost the 3rd test in England after a collapsing 131 in chasing a target of 200 and it seemed that the batting form (or lack thereof) continued into the fourth test. Graeme Smith had won the toss and South Africa selected to bat. And despite a feisty 55 from Jacques Rudolph, South Africa had collapsed to 142 for 8. 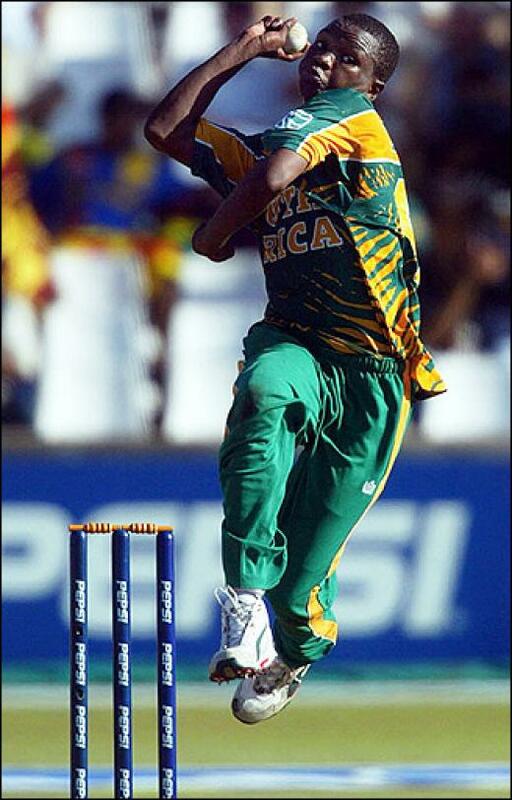 Monde Zondeki walked to the wicket, playing in place of an injured Shaun Pollock and included for his bowling. What we witnessed next was a mix of excitement, frustration, luck and entertainment as Zondeki and Kirsten turned a reckless looking bat first decision into a stroke of genius. Zondeki and Kirsten batted through the remainder of the day and the delight for Kirsten reaching another century was delirium when Monde got to his 50. The partnership eventually ended when Zondeki was dismissed for 59, but the 150 run partnership is still the highest 8th wicket partnership for South Africa in test match cricket. Although Zondeki’s contribution with the ball was curtailed to 4.5 overs in total for the match due to the first of numerous injuries, his contribution with the bat helped turn a losing situation into a win and the lead in a 5 match series, with only one to play. Zondeki eventually did manage to return to the South African fold in 2005 and took 6-39 against Zimbabwe. Again though Zondeki’s collection of serious injuries often led to him being in the International wilderness and the South African public could probably feel aggrieved that we did not see more of the brilliant paceman. 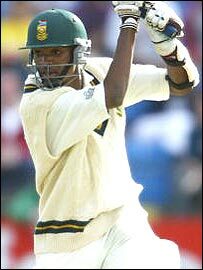 As thoughts may reflect on what could have been for Zondeki in his career, my thoughts will be on what was on the day a South African bowler, batted us to victory. Thanks Monde!